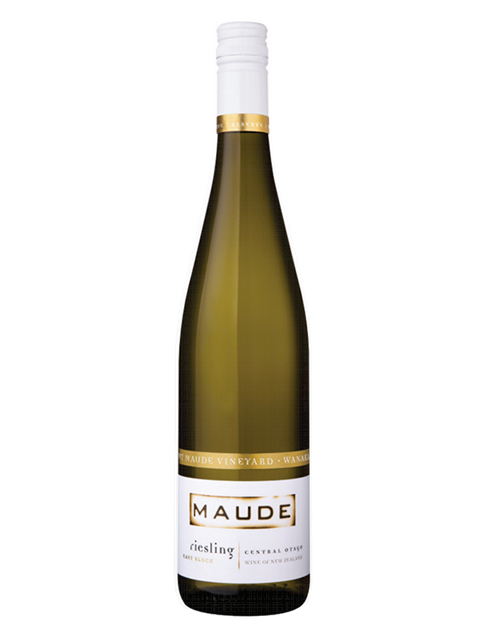 Maude, Mt Maude Vineyard, East Block Riesling has been awarded the Supreme Champion Wine In Show Trophy at the Avenues International Aromatic Wine Competition, which is celebrating ten years of competition in 2012. 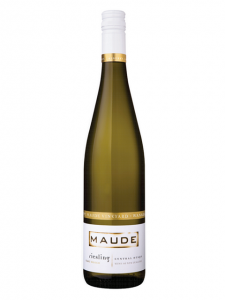 Mt Maude is a family-owned vineyard located just outside of Wanaka in Central Otago. The vineyard was created by winemaking couple Sarah-Kate and Dan Dineen. The estate was planted in 1994 on the steep north facing slopes of the sheltered Maungawera Valley. The Avenues International Aromatic Wine Competition is open to all Riesling, Sauvignon Blanc, Pinot Gris, Gewürztraminer, Viognier and other wine varieties including Gruner Veltliner, Verdeldo, Arneis and Sauvignon Gris, made in an aromatic style from any internationally recognised region. Judges awarded 220 medals including 34 gold medals, 61 silver medals and 125 bronze medals, from 310 entries. A section trophy was awarded to the overall winner within each variety; section trophy winners then competed for the Supreme Champion Wine in Show Trophy. “This is the strongest line up of aromatic wines seen at the Avenues International Aromatic Wine Competition in its 10 year history. All varieties excelling and for the first time gold medals given in all categories. Whilst entry numbers were slightly down on last year, I feel this is due to producers only entering wines which they felt would have a great chance of being awarded. This reflects the high proportion of medals given out during the judging” commented Chairman of Judges Terry Copeland. “A string of excellent vintages produced many outstanding wines, and it showed with a high number of gold medals. These were some of the best line up of aromatic wines I’ve seen at a wine show. I was delighted to see each variety showing extremely well. Rieslings and Sauvignon Blancs were simply stunning. Even Pinot Gris, often the underperforming variety, produced several excellent wines, indicating efforts put in by producers and the strength of recent vintages” added judge Sam Kim (wine writer). “How fantastic is it that there are shows like this where we get to single out those crisp, crunchy, aromatic white wines that perhaps don’t get the attention they deserve in the mainstream. It’s incredible to see how New Zealand is now cutting it with the best in the world when it comes to producing quality Riesling, Pinot Gris, gorgeous Gewürztraminer, groovy Gruner Veltliner, Viognier with vavoom and some absolutely amazing Albarino. They’re fabulous, food-friendly wines that suit every season and despite it being a small show, it’s very intense and each medal is hard won. So go out there, buy a bottle and be wowed” added judge Yvonne Lorkin (Beverages Editor Dish Magazine). A new addition to the trophy list this year, The Spence Brothers Trophy for Best Sauvignon Blanc Producer, was awarded to Saint Clair Family Estate, owned by Neal and Judy Ibbotson. From 1994 when wines from the first vintage all won medals including gold, the name Saint Clair has been synonymous with quality and its award-winning record continues today. “The Spence Brothers Trophy recognises the producer who makes a range of Sauvignon Blanc styles that reflects the highest quality among all Sauvignon Blanc’s judged. St Clair once again cements its place as being the best producer of Sauvignon Blanc in New Zealand with a stunning line up of 2012 wines. From 9 wines entered their received 3 gold, 5 silver and 1 bronze, plus the trophy for Best Sauvignon Blanc with the St Clair Pioneer Block 3 43 Degrees Sauvignon Blanc 2012” added Copeland. All medal winning wines will be on display at the 150th Canterbury A&P Show in the Food & Wine NZ Pavilion. The 2012 Canterbury A&P Show will be held Wednesday 14 to Friday 16 November at Canterbury Agricultural Park in Christchurch. It is the largest A&P Show in the country attracting over 100,000 people, close to 7000 livestock and feature competition entries and 600 trade exhibitors.